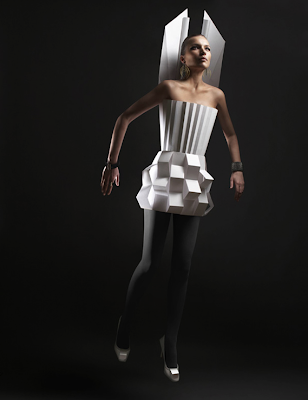 pretty.pretty.paper: i could maybe start wearing paper dresses. many more paper creations by alexandra zaharova & ilya plotnikov of doberman studio here. hilarious, reminds be of the rocketeer.